After a five week hiatus I am returning today to formal•structured•discipleship at Midwestern Baptist Theological Seminary. Therefore, I wanted to write a quick note to you this morning about what to expect from the nurse theologian during the coming year. On March 13, 2016, I wrote an article called "Depth & Breadth," announcing that I was beginning classes at Midwestern Baptist Theological Seminary working towards a Master of Theological Studies. It is my goal, Lord willing, to complete this degree at the end of this year, December, 2018. But in order for that to happen I will need to attend classes continuously, without a break, for the next 48 weeks. To balance this, every week should look like this: I plan to take off Sundays from seminary classes and my job as a Registered Nurse, and spend them with the brethren at Sylvania church, my wife Darlene, our family and friends. I plan to do the reading and writing for my classes Monday, Tuesday and Wednesday. I plan to work as a Registered Nurse in the CVICU Thursday, Friday and Saturday. It will be a challenge, but I think very worth the effort. 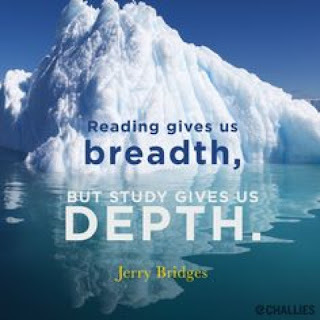 When I wrote, "Depth & Breadth" I invited everyone to join me, through my blog post, during what I have come to understand as formal•structured•discipleship. Therefore, I invite you again to join me, through my blog post during my last year of studies at Midwestern Baptist Theological Seminary. Every week, for the next 48 weeks I will post an article with regard to something that I have studied and learned during the previous week.